EJ is based in both Asheville, North Carolina and Houston, Texas. You can hire EJ or one of the groups he plays in to perform at your event. 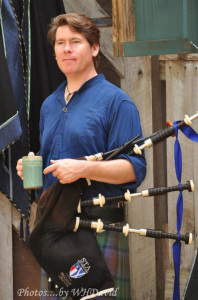 EJ is also a knowledgable consultant in booking Celtic music across the country, based on his more than 20 years working with great festivals and performers, as well as two years booking the Grandfather Mountain Highland Games. EJ is also available for house concerts, weddings, and memorial services. He is connected with great pipers all over the USA with a focus on Western North Carolina and Texas. EJ with a lineup of musicians chosen to fit each festival or venue. EJ has performed with Clandestine since 1991. It’s Celtic music with Texas style, a quartet with Emily Dugas, Al Cofrin, and Gregory McQueen. A pipe and drum group focusing on Renaissance and Medieval music. Houston’s premier traditional pipe band, originally the Hamilton Pipe Band.